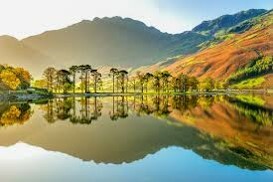 Lake-district-links.co.uk – Your guide to the Cumbria Lake District! This is the best guide to the Cumbria Lake District on the internet. Being one of the most popular holiday destinations all across the UK, the Cumbria Lake District offers a large variety of things to do! 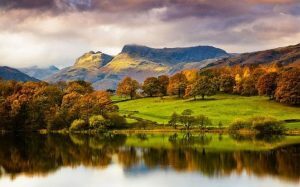 You can find attractions, activities and restaurants for the whole family on this website, in order for you to plan the perfect visit to The Lake District! The Cumbria county exists of six districts (Allerdale, Barrow-in-Furness, Carlisle, Copeland, Eden and South Lakeland) and is the third-largest county in England area wise. It is located in the North-West of England and in 2008 the area had a combined population of half a million citizens. The area is surrounded to the north by the Scottish areas Dumfries and Galloway, by the Irish Sea to the west and to the south by Lancashire. The Lake District, oftentimes called the Lakes is an area within Cumbria based in the mountain regions of the county. Back in the days the Lake area was spread across Cumbria, Lancashire and Wesmorland but is nowadays fully located in Cumbria. The area consists some of the highest mountains of the British islands including Scafell Peak, which is the highest mountain, reaching 978 above sea level. The area does not only hold high mountains but also some of UK´s largest water bodies. In total it contains 21 lakes with Bassenthwaite Lake being the most well-known. The area is also famous for its great variety of animal life, much due to the unique typography of the Lake area. Many on-land and water animals such as fishes can only be found within the Lake Districs area. There are also a number of rare bird species that has been seen here across the years, including the golden eagles. If you want to read more please visit the Cumbria Lake Districts official tourist page.